The glamorous Prahran Market is famed for its upscale status and classy products; Queen Victoria Market is unparalleled in its heritage significance, its vastness, its unbeatable number of stalls, and the abundance of selections. 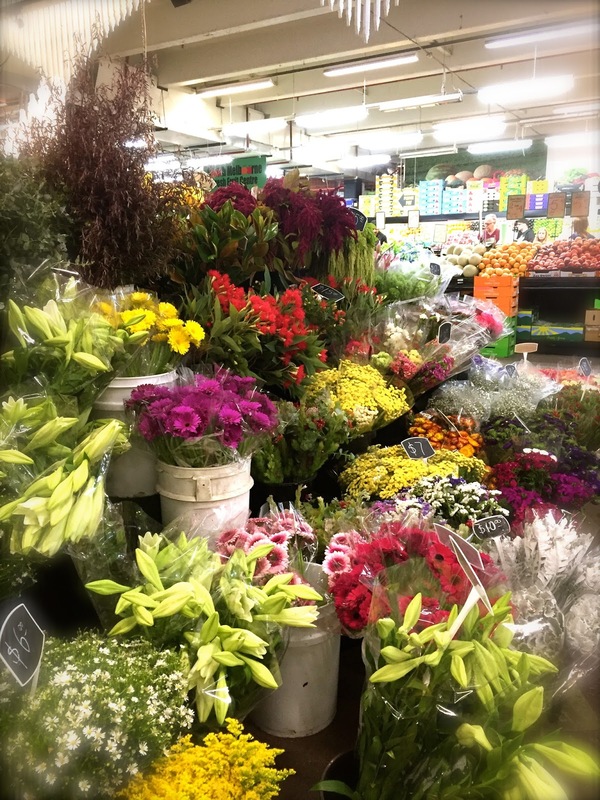 The South Melbourne Market is the middle child: medium-sized space, quality products with affordable (but not dirt cheap) price, beautiful gourmet products (but not to the extent of untouchable grandeur). Some might argue that its extreme neatness renders the place lacking the messy character essential to a market. The people in the market are too polite and friendly. Stall keeper hands out organic raisins for sampling with a smile too gentle and sincere, the free cinnamon-laced hot cross bun bits for all to taste is too good to be true, the seafood bar area is too sparkling clean, and the generous space between each stall makes our walk too comfortable. 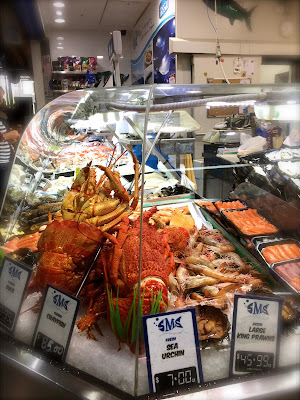 In short, everything in South Melbourne Market is picture-perfect. It is as if the market is at a constant standby for strict enforcement and supervisory inspections: not one spot nor blemish is allowed to surface. There is not much haggling or bargaining occurred. No angry or impatient voices from vendors nor the customers can be heard. No garbage, dirty water wastage or stinky odour can be detected. 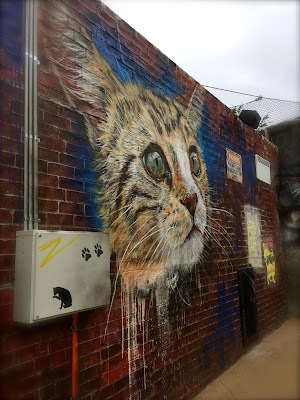 South Melbourne Market is proper, admirably spotless, classily hippie and easily approachable. Upon entry, we were immediately charmed by the bright red lobsters and the juicily fresh oysters from the South Melbourne Seafood (the stall that prides itself of its sustainable- emphasis when it comes to sourcing of fish). Opposite, the attractive array of tea containers forms a captivating rainbow wall for the Teadrop stall, an unmissable place for passionate tea-lover eager for a cup of finest brew from a choice of over 100 blends. Further on, we saw a lovely pop-up stall from Joy Cupcakes with its mouth-watering little cakes sprinkled with the most natural of ingredients. 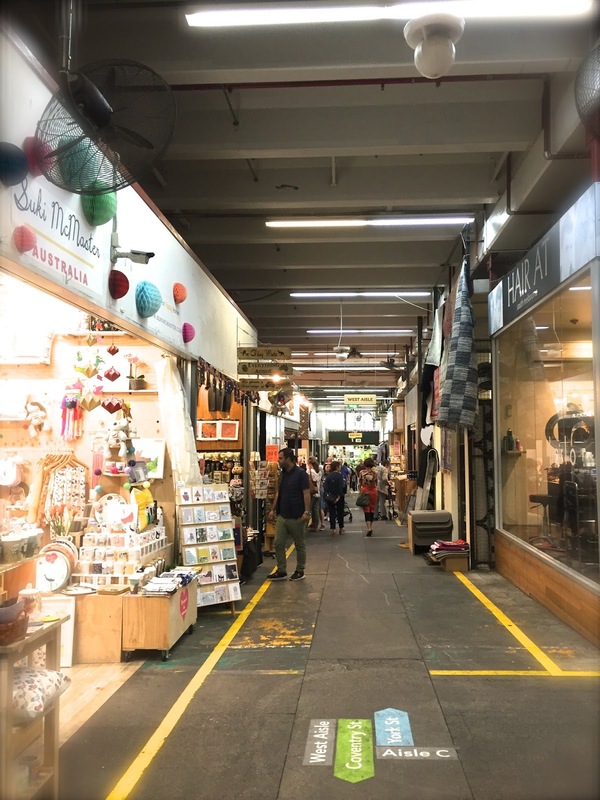 South Melbourne Market is also the place of origin of the world famous circular-sized Chinese dumpling known affectionately by the Australians as "Dim Sim", served deep fried or steamed (South Melbourne Market Dim Sims, trading since 1949). 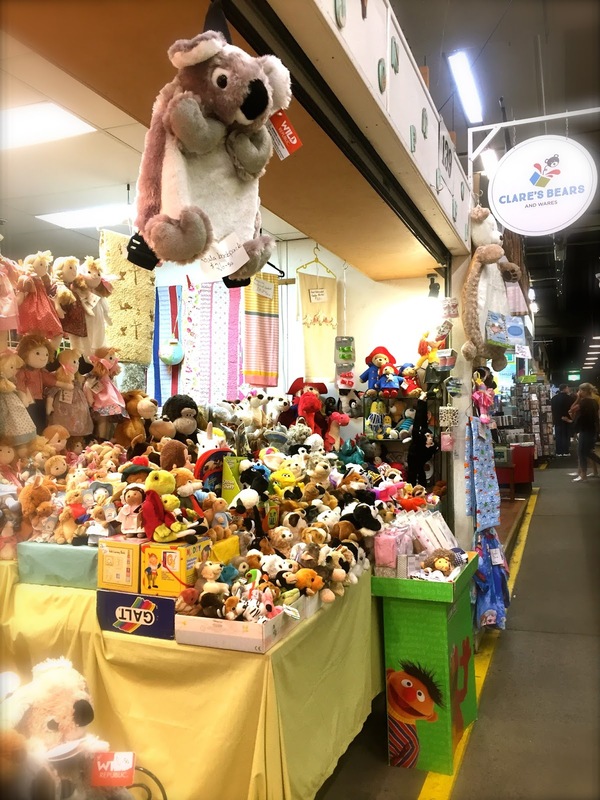 This is a market to find $1 oyster treat (Aptus), nostalgic teddy bears and dolls (Clare's Bears and Wares), fresh free range eggs (Willow Zen Farm), delightful Spanish foods (Simply Spanish), and the very village-feel, Melbourne's best fruit and vegetables' winner Georgie's Harvest. There are just so much more to explore, and my meagre list in this post does not do half the justice to this awesome market. It's not surprising that this place has become many (if not most of) Melbournians' favourite market. 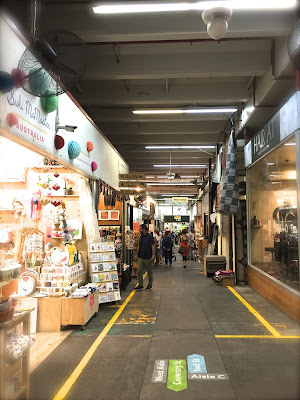 This is the market to go if you wish to avoid incessant throng of tourists or to get your weekly groceries done with fair and reasonable price. Red-bricked wall and chimney stack always remind me of some fairy tales and fables; three little pigs and the big bad wolf, Charles Dickens's novels about the poor and rich, and the animal barns in George Orwell's literature. I am pretty sure houses of similar kind appear somewhere in one of those illustrations accompanying those stories. This Victorian-style three-storey building (with a huge chimney that can probably fit three Santa Clauses) housed a former hat mills in Abbotsford. The late 19 century is the stylish era where a hat could be a symbol of status, a command for respectability, and a token of fashion. I can almost imagine the scene of a busy manufacturing mill with grey smoke flowing out from the conspicuous chimney stack constantly. Wool, fur, feathers, felt and leather. Dust, noise, repetitive movements and mechanized plants. All crammed in the squalid industry area along the Yarra River, dotted around and mushroomed with factories and workers and entrepreneurs. Denton Hat Mills prides itself as the first steamed-powered hat factory in Australia. The size of the factory grew drastically from 12 employees in 1874 to 208 employees in 1887, with a turnover of over 30,000 pounds (probably around GBP11 million in today's value (I stand corrected)). 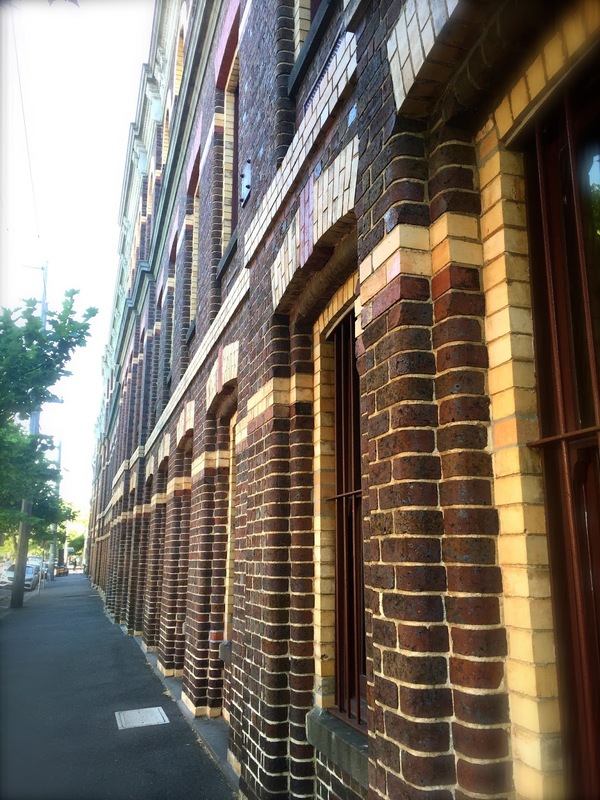 The former factory is registered in the Victorian Heritage Register and is a National Trust building. Its architectural significance is prominent, being one of the many works of William Pitt (the designer of Princess Theatre, Rialto and Olderfleet). William Pitt had apparently been involved in the later design stages and contributed to certain additions to the building in the 20th century. Today, the imposing building houses a mix of excitement: the famous cafe Three Bags Full (you would have read all about it in various Melbourne coffee guide books or recommended cafe web pages), residential apartment and offices. 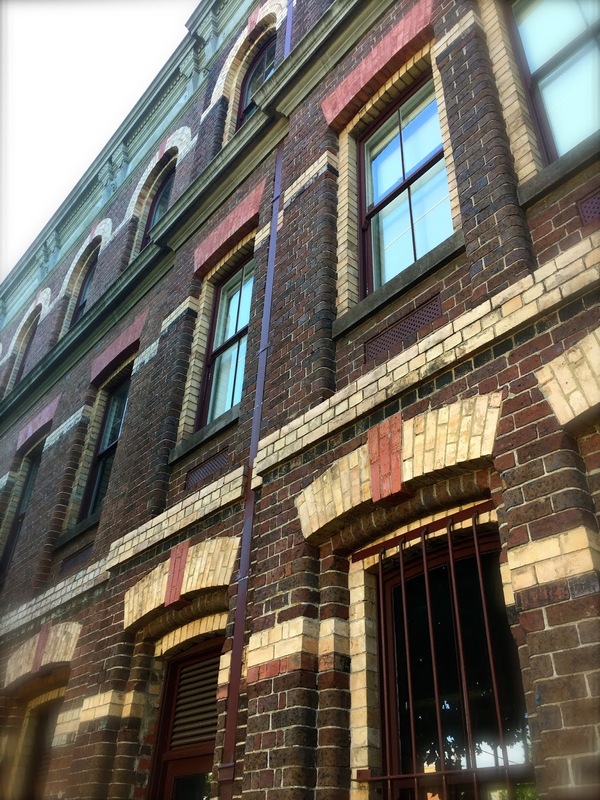 Its impressive red-bricked facade is preserved carefully, and still retained that hint of nostalgia from the Victorian time. The hat factory survived at the site till 1971. 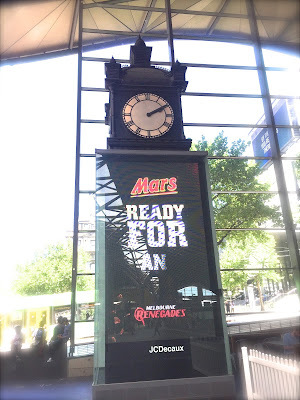 It is unbelievable that someone would ever think of placing such an ancient clock with an history of 130 years at the top of two huge rectangular digital full screens of moving advertisements. It is even more difficult to comprehend the rationale of positioning an age-old clock at an unnoticeable corner of a covered station concourse. 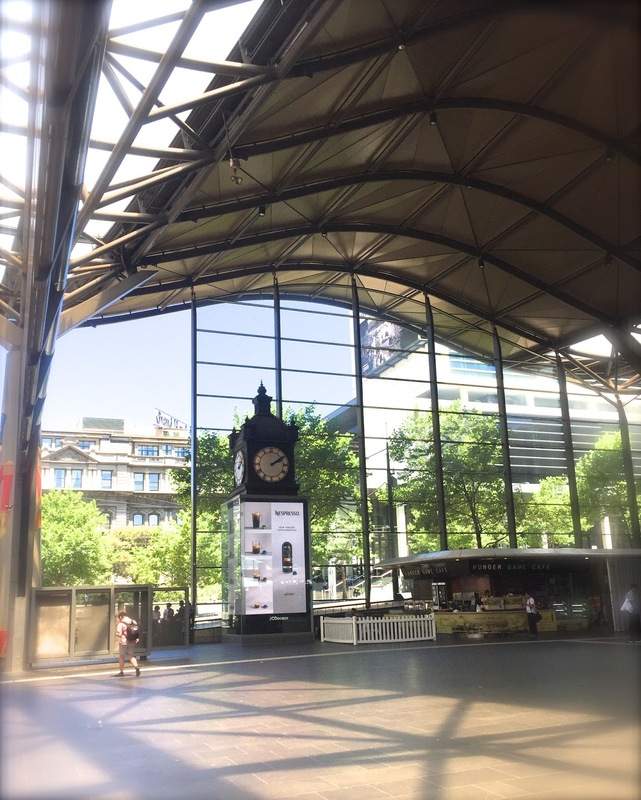 Everyday, we see thousands of Southern Cross Station commuters walking past the supposedly iconic clock at the Collins-Spencer intersection entrance without a pause, completely unaware of the clock's historical significance or even, its existence. The origin of its name is obscure and probably unknown. We have no idea why the clock is called the "Water Tower Clock", and a research on internet came to a dead-end. The brightly-lit video screens with constantly changing images completely overshadow the pathetic old clock. The clock fails miserably to achieve any fame or popularity comparable to the famous Flinder Street Station clocks. It devoids any Middle Eastern's charm or exoticness like the Forum Theatre clock, and definitely lacks the showiness of the strategically-located GPO clock. The Water Tower Clock was built in 1883. Since then, it has travelled around like an unwilling nomad searching desperately for a permanent home. It was first installed at the original Flinders Street Station, serving an important role as a reference time piece, keeping timetable and signaling on track. In 1902, it was removed to the Princess Bridge Station, and subsequently the Spencer Street Station in 1910. It remained there for 57 years. The clock changed hands again and fell into the realm of private collectors for many years. The State Government purchased the clock in the end. But instead of reinstating its role as a station clock, the Water Tower Clock was asked to share its dwelling in the Science Museum at Spotswood instead. This remained to be so for a good many years from 1997 to 2013. Eventually, attempts were made to restore the clock to its previous glories. This was finally done on 14 May 2014, when the clock was installed at its present location. The outcome, as I have mentioned, was such a disappointment many view it as an insult to the much treasured antique. It's an undesirable dilemma to choose between revenue for coffers and a dignified restoration for an old clock. But until measures are taken to separate the commercially-focused and ghastly screens away from the clock, the Water Tower Clock would have to continue enduring the undeserved neglect and living under the shadows of the soul-less LED displays. 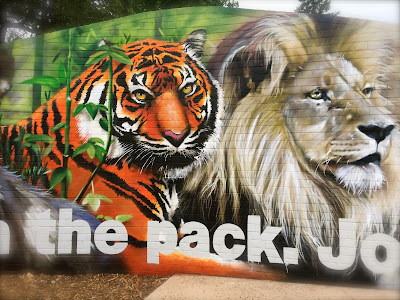 The newly opened Carnivores' Trail of the Melbourne Zoo promises snow leopards, South American coati, Sumatran tiger, Tasmanian Devil, and the African wild dog. 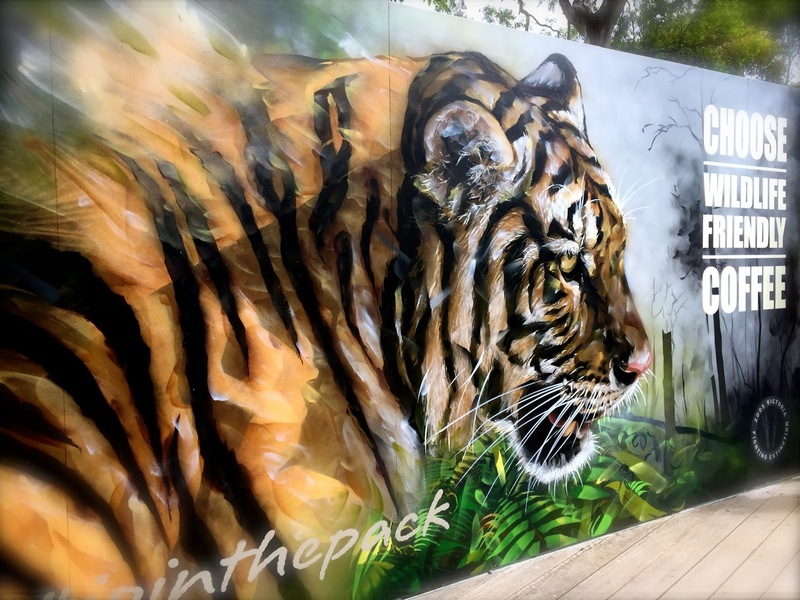 We have been to the zoo twice since the official unveiling of the new exhibit that costs $9 million, but we had no luck spotting the powerful snow leopards and Sumatran tiger on both occasions. While walking along the trail from one enclosure to the next, we heard people expressing their disappointment and unhappiness (some complained loudly. Some tried to pacify their grumpy kids with soothing voice). The vast and empty enclosed areas left many visitors bewildered and puzzled. But I guess that's exactly what makes the Melbourne zoo so great. You see, instead of succumbing to public pressure and forcing the new animals to appear before the full view of the very large crowd of visitors (school holiday period is definitely not helping with the number of them! ), the zoo decided to adopt a more humane approach so that the new comers can slowly adjust to the glamorous surroundings on their own pace. The enclosures are spacious and specially designed to simulate the actual natural habitat of the wild predators. The new inhabitants are given choices and certain free will: they can either meet and greet the visitors by stepping out onto the open platforms, or retain their privacy by hiding under or behind the covered areas, away from the scrutiny of human beings. Yes, it will be really nice if we can get at least a glimpse of these beautiful carnivores and admire their impressive agility, but these should never come at the expense of distressing the animals. Instead of satisfying the temporary curiosity of the general public, the zoo is more concerned about the permanent adjustment of lives of these precious new residents. 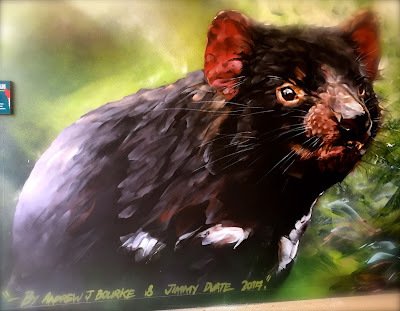 So pending the animals settling into their new home environment, may I suggest we shift our attention to the very awesome large scale "street arts" splattered along the very well designed Carnivores' Trail. 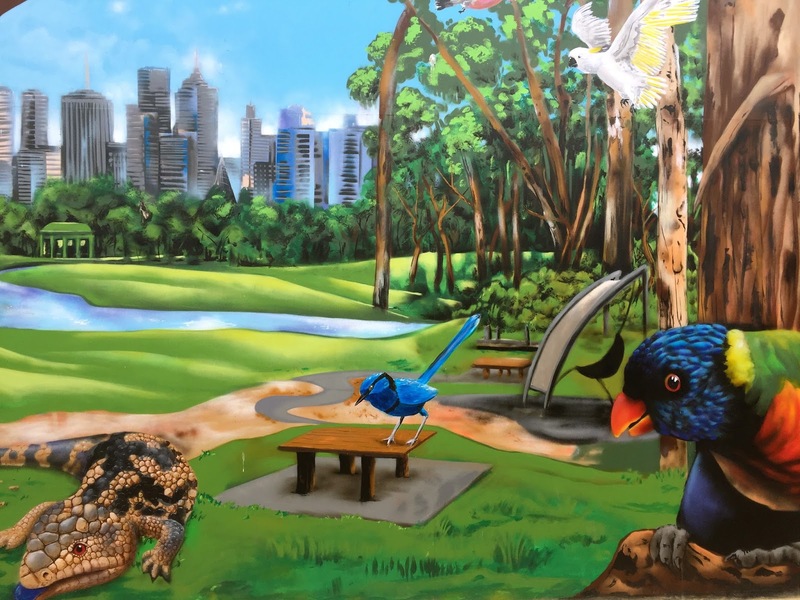 These wall murals are outright stunning and make superb backgrounds for group photographs. 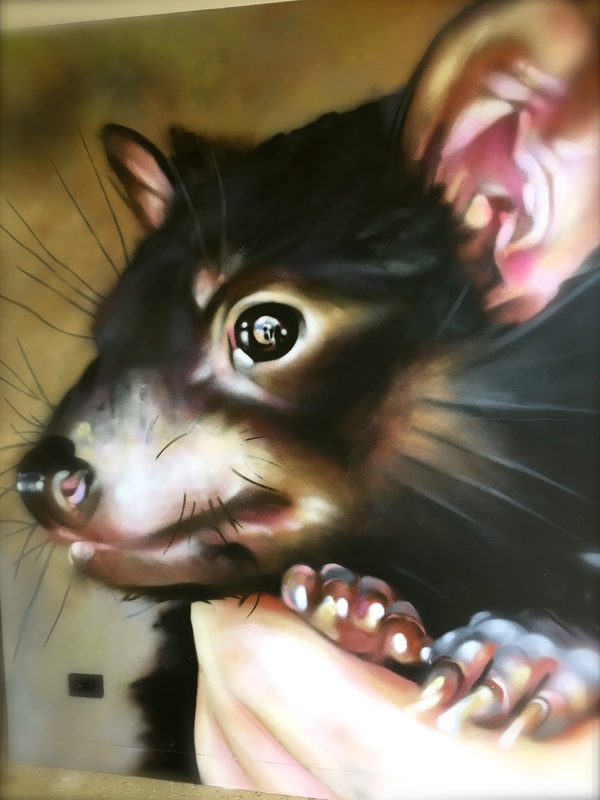 The magnificent art pieces were created by our very own talented Melbourne street artists Adnate, Makatron, Dvate and Andrew J Bourke, who have helped adorning the public walls of Melbourne city for some good many years with their well-recognized painting styles. We love them all. 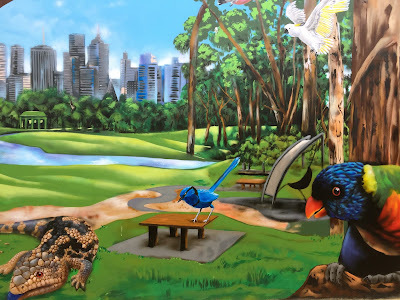 The arts give a fabulous local touch to the new animals trail, and definitely make a splendid addition to the new wildlife home.